July 30, 2009, Washington, D.C – ‘Pension Factor’ drives $7.3 billion in public assistance savings, 4.7 million fewer households in poverty, near-poverty. Pensions important for minorities, women. Press call at 11 AM ET, (888) 428-4474. Defined benefit pension income plays a critical role in reducing the risk of poverty and hardship among older Americans. According to a study released today, rates of poverty among older households lacking pension income were about six times greater than those with such income. The analysis also finds that pensions reduce – and in some cases eliminate – the greater risk of poverty and public assistance dependence that women and minority populations otherwise would face. “Evidence that pensions contribute to the retirement readiness of older American households has long been noted by experts and academics,” said report lead author Dr. Frank Porell. “With our analysis, we now have hard numbers on the people and budget impacts of pensions. The bottom line: pensions help older Americans escape poverty – especially women and minorities who we know are most vulnerable,” he said. The analysis in The Pension Factor was conducted using the U.S. Census Bureau’s Survey of Income Program Participation (SIPP) panels from 1996, 2001, and 2004. The study sample included SIPP respondents age 60 years or older and all households with a head age 60 and older, who had records in both the Pension and Adult Well-Being topical modules of the survey. This totaled 10,259 households.Additional data and analysis is available in the full research brief available at www.nirsonline.org. The National Institute on Retirement Security (www.nirsonline.org) is a non-profit organization established to contribute to informed policymaking by fostering a deep understanding of the value of retirement security to employees, employers, and the economy through national research and education programs. 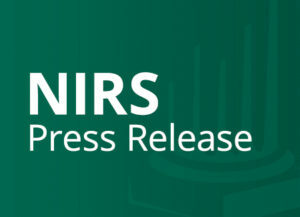 Located in Washington, D.C., NIRS has a diverse membership of organizations interested in retirement including employee benefit plans, state or local agencies that manage retirement plans, trade associations, financial services firms, and other retirement service providers. More information is at http://www.nirsonline.org.